Below are the projects discussed on Tuesday 21 March 2018. Both buildings featured in this lecture were commissioned by universities. The Simon Sainsbury Centre at Cambridge Judge Business School and the Garden Halls student residences at Cartwright Gardens for University of London. While different in function the projects are, on the face of it, not dissimilar in construction, each benefiting from a robust cast in situ concrete frame and predominantly brick facades. However, each take a very different approach to the expression of concrete. Smooth concrete surfaces are a key feature of the interior of the Simon Sainsburys Centre, with some exposed architectural precast elements externally. At Garden Hall the elegant facades are constructed entirely of concrete, but all are hidden behind their embedded facing of brickwork. Each project will be presented by their architect and other key collaborators, sharing design development and their construction experiences of creating fine examples of contemporary concrete architecture. Located in the heart of Bloomsbury, Central London, Garden Halls is a new development of high quality, affordable student accommodation. 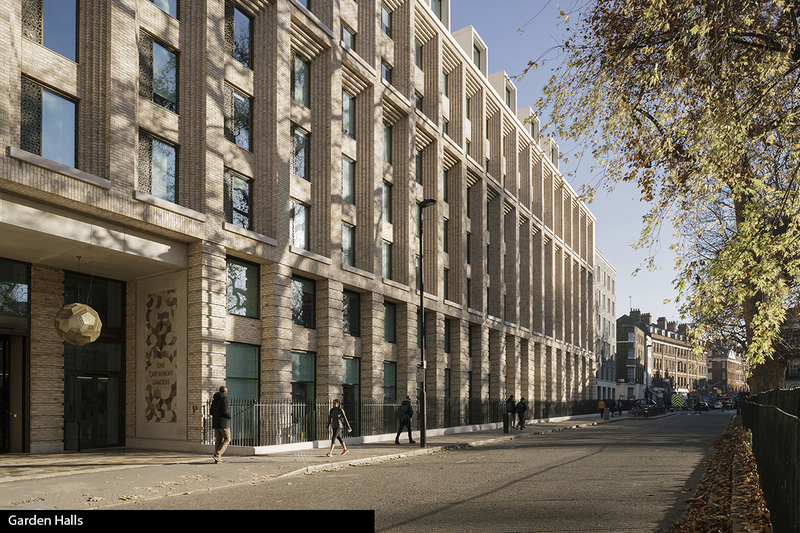 Maccreanor Lavington worked alongside executive architects TP Bennett and precast supplier Thorp to design the new principal nine-storey facade that looks out to Cartwright Gardens as well as the seven-storey building at the corner of the historically sensitive and challenging site. 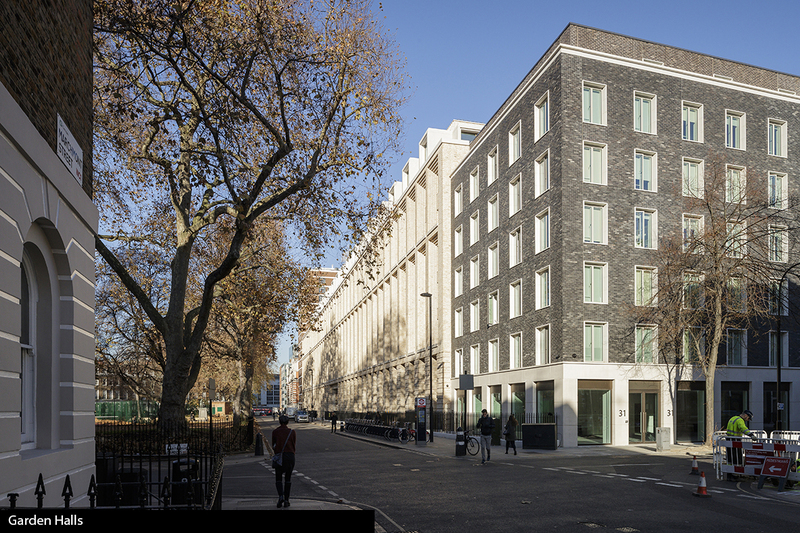 The new student accommodation replaces the former 1930’s and 1950’s buildings to provide 1,200 student rooms - making it one of the largest student halls of residence in London. The main brick-clad facade has all the architectural integrity and beauty of a hand-set masonry building and is constructed from precast concrete panels. 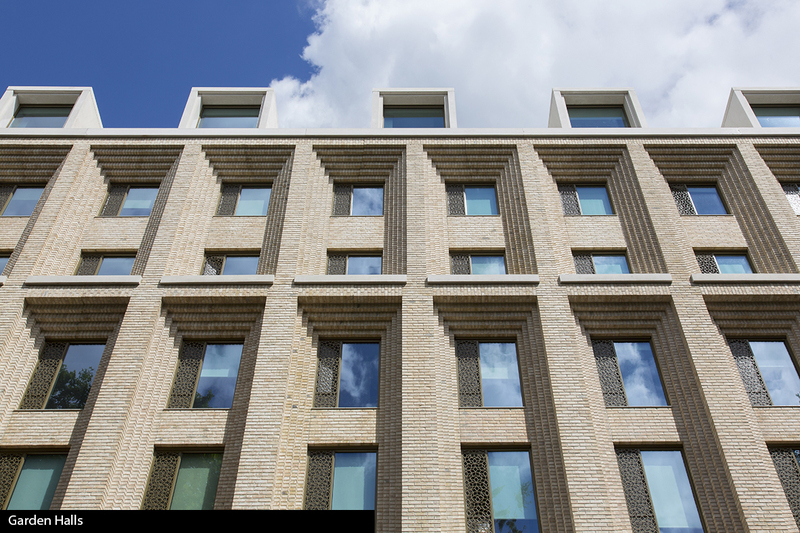 There are approximately 1,100 precast panels incorporating four brick types across the entire scheme. Some elements incorporate complex corbelling and spanning three-storeys high. 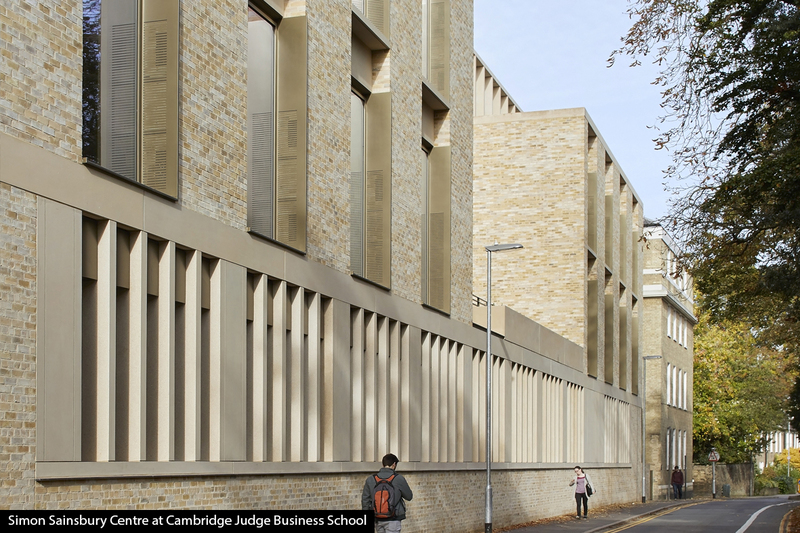 Cambridge Judge Business School was founded over 25 years ago on the Grade II listed, Old Addenbrooke’s Hospital site in the historic centre of Cambridge. 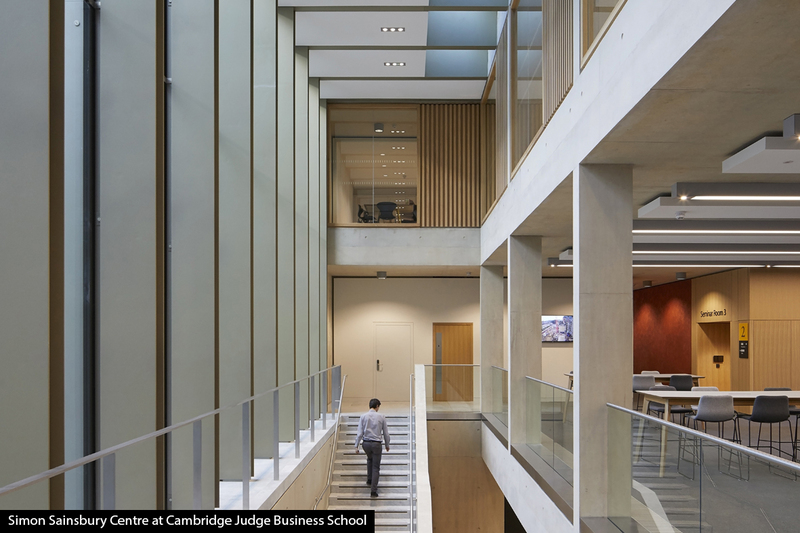 The site has undergone almost continuous transformation since its construction in the mid-eighteenth century, most notably with the 1860’s main facade by Matthew Digby Wyatt and the 1990’s re-modelling by John Outram, when Cambridge Judge Business School was created. The new 5,000m² expansion by Stanton Williams Architects adds a further layer to this progressive transformation. 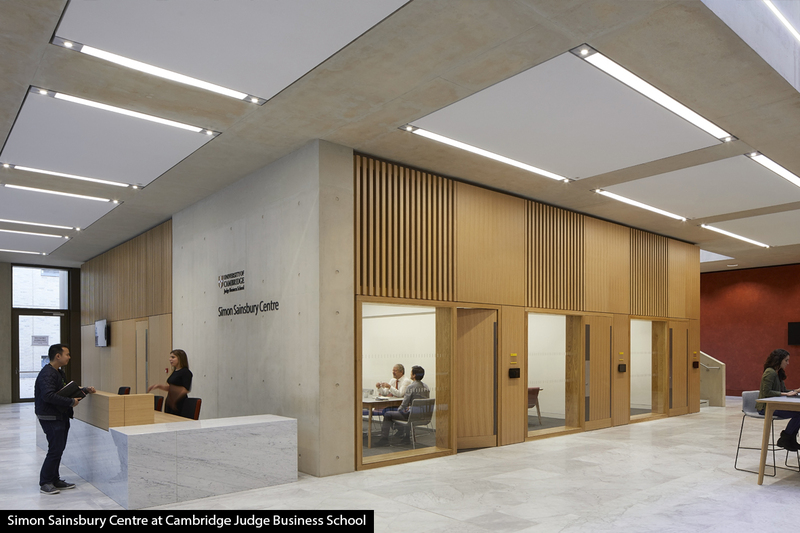 A notable element of the internal spaces are the high quality surfaces of exposed concrete structure, a result of collaboration between the same team of architect, engineer and concrete contractor that created the Stirling-Prize winning Sainsbury Laboratory, also in Cambridge. Structural challenges for this new project included a large-span auditorium with offices above and construction up close to highway boundaries and existing buildings. The next Concrete Elegance event will be held on 19th September 2018.